KÖTHEN, Germany (PNN) - September 10, 2018 - Germany has been hit with another impromptu protest after a man in the eastern town of Köthen was killed following a physical altercation with two Afghan migrants. Around 2,500 demonstrators hit the streets of Köthen on Sunday, carrying German flags and chanting, “We are the people”. LONDON, England (PNN) - August 24, 2018 - A candidate in the European elections was arrested on suspicion of racial harassment after quoting a passage about Islam, written by Winston Churchill, during a campaign speech. Paul Weston, chairman of the Party Liberty GB, made the address on the steps of Winchester Guildhall, in Hampshire on Saturday. A member of the public took offense at the quote and called terrorist pig thug cops. WeAreChange gives you the latest breaking news on Cheran, Michoacan, an anarchist town that's followed by anarchy principles and over 30,000 anarchists. 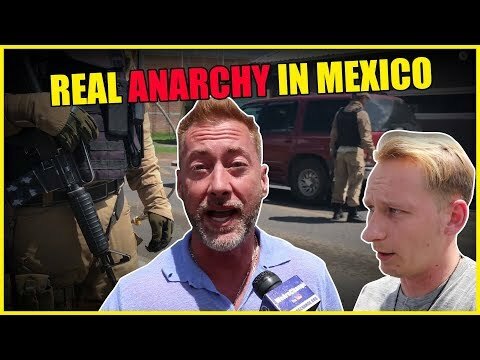 We talk to Jeff Berwick, the dollar vigilante who organizes one of the largest anarchy conferences. August 25, 2018 - When I was young I had a paper route. It was actually my big brother’s but he subcontracted to me part of the route closest to our house and gave me the appropriate portion of his earnings. I had about three streets I was responsible for and diligently delivered our regional newspaper to neighbors each afternoon after school. I was about eight. August 22, 2018 - Breaking news: children need to play, according to the Amerikan Academy of Pediatrics. Seriously, it took the Amerikan Academy of Pediatrics to let us know that? Better yet, doctors now recommend that parents even get involved in playing with their children, especially before they turn two. Commentary: Is the FPSA government evil? August 14, 2018 - Is the Fascist Police States of Amerika government evil? You tell me. This is a government that repeatedly lies, cheats, steals, spies, kills, maims, enslaves, breaks the law, overreaches its authority, and abuses its power at almost every turn. August 13, 2018 - If you’re waiting for someone to save you from the tidal wave of corporate censorship, government authoritarianism and deranged left-wing violence, you’re following a mirage. No one is coming to save you. If you want to live as a free person in a free world, you’re going to have to demand it, (peacefully) fight for it, and secure it for all humankind.